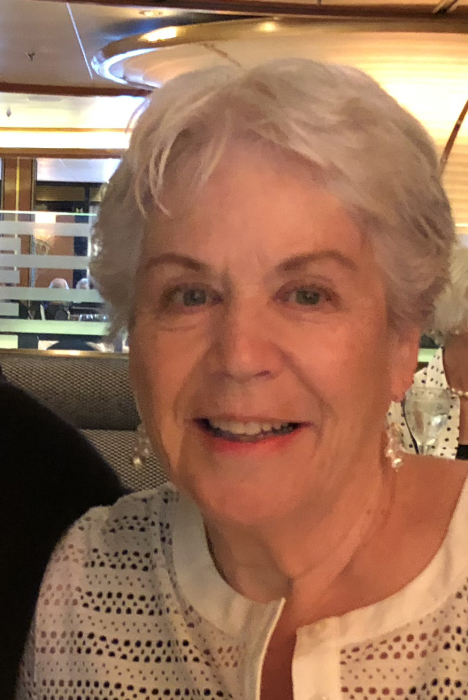 Obituary for Oris M. Hippensteel | McKee Mortuary Inc.
Oris M. Hippensteel, 77, North Manchester, Indiana and Saint Ignace, Michigan passed away at 12:41 p.m. on February 11, 2019 at Lutheran Hospital, Fort Wayne, Indiana. Oris’s life began on April 30, 1941 in Stephenson, Michigan, where she was born to Harold and Ethel (Parrett) Hayward. After graduating from LaSalle High School in 1959, Oris was convinced by a few vacationers in her Michigan home, to attend Manchester College. Leaving home, Oris arrived at the door step of Manchester College with a suite case in one hand and $20 in the other. It was at Manchester College, that Oris met Robert Hippensteel. The two sat by each other in several classes and the rest is history. Oris went on to graduate from Manchester College in 1963 and later from Saint Francis University with a Master’s degree. On June 23, 1962 Oris married Robert. During their 56 years of faithful marriage together, they enjoyed going on cruises, traveling to different countries and their time in their summer home in Saint Ignace. She was fascinated by historical places and buildings. She both enjoyed and respected history. Oris and Robert’s marriage was not only full of love, but also, they were faithful to the Lord. At night they would pray the Lord’s Prayer together. They were members of Manchester Church of the Brethren. Impacting young minds and hearts, Oris retired in 2006 from a 40-year teaching career. Spreading kindness and always full of positivity, one of Oris’ greatest passions was helping those less fortunate or who she felt had been left behind. From the countless stories from former students, Oris was one that wanted to see people successful in life and she often helped them to become successful. She was an advocate for Women’s Rights. Oris will be remembered by her husband Robert Hippensteel, North Manchester; four sons Scott (Karla Rodriguez) Hippensteel, Austin, TX, Kerry (Christopher Runyan) Hippensteel, Aaron (Stacey) Hippensteel, Seth (Elizabeth) Hippensteel, all of North Manchester, IN; and four grandchildren Katlyn, Bryce, Luke, and Kayla Hippensteel. Family and friends may call Sunday, February 17, 2019 from 2:00 to 6:00 p.m. at Manchester Church of the Brethren, 1306 Beckley Street, North Manchester, Indiana. A celebration of life service will begin at the conclusion of the visitation. Burial will be held at Gros Cap Cemetery, Saint Ignace, Michigan. Pastor Kurt Borgmann will officiate. In lieu of flowers, for those who wish to honor the memory of Oris M. Hippensteel, memorial contributions may be made to Manchester Church of the Brethren, 1306 Beckley Street, North Manchester, Indiana 46962 or Gros Cap Church Preservation Fund, c/o Moran Township, PO Box 364, Saint Ignace, Michigan 49781.